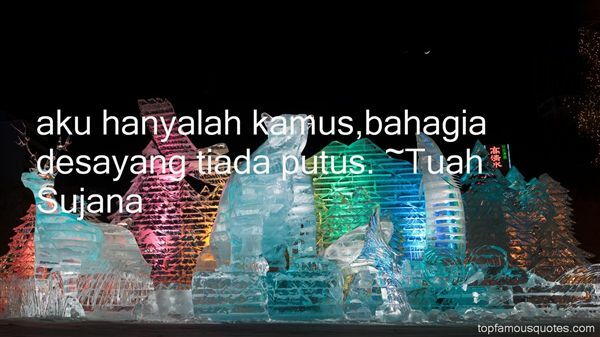 Reading and share top 2 Tuah Sujana famous quotes and sayings. 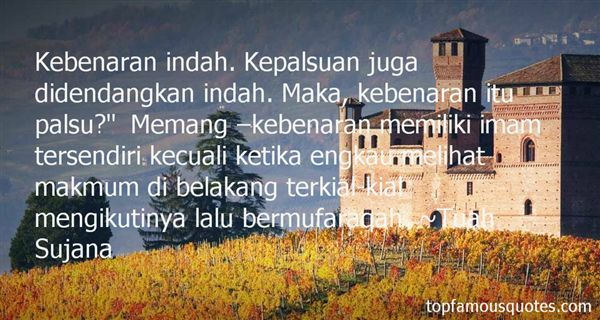 Browse top 2 most favorite famous quotes and sayings by Tuah Sujana. For sense gratification, a man in the mode of passion wants some honor in society, or in the nation, and he wants to have a happy family, with nice children, wife and house. These are the products of the mode of passion. As long as one is hankering after these things, he has to work very hard. Therefore it is clearly stated here that he becomes associated with the fruits of his activities and thus becomes bound by such activities. In order to please his wife, children and society and to keep up his prestige, one has to work. Therefore the whole material world is more or less in the mode of passion."